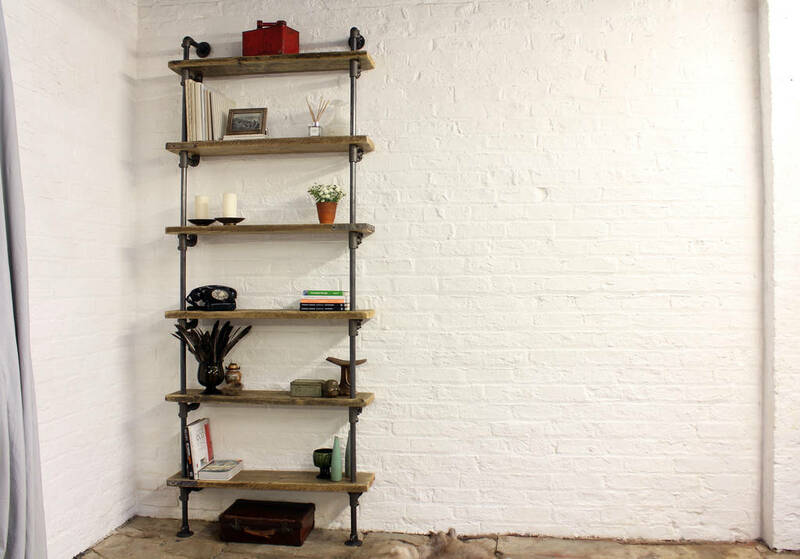 Its salvaged vintage industrial design works perfectly in a sophisticated, casual living space. 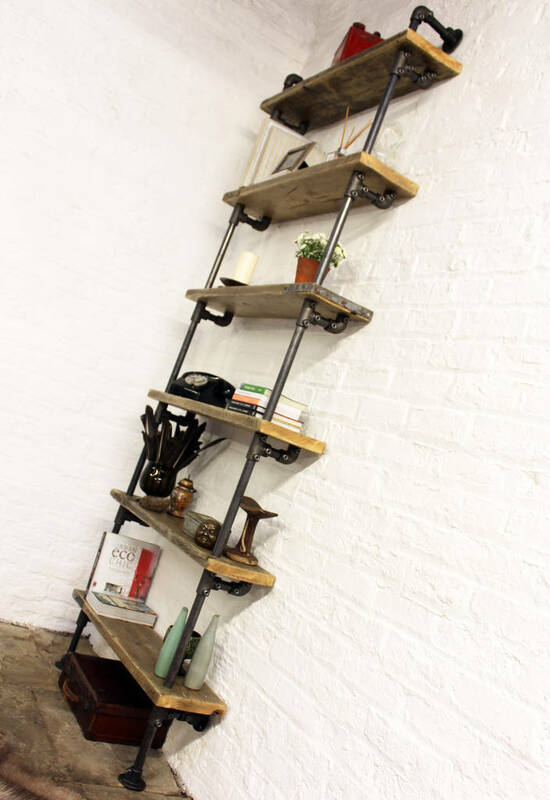 This shelving system can be made to measure to your own specifications. 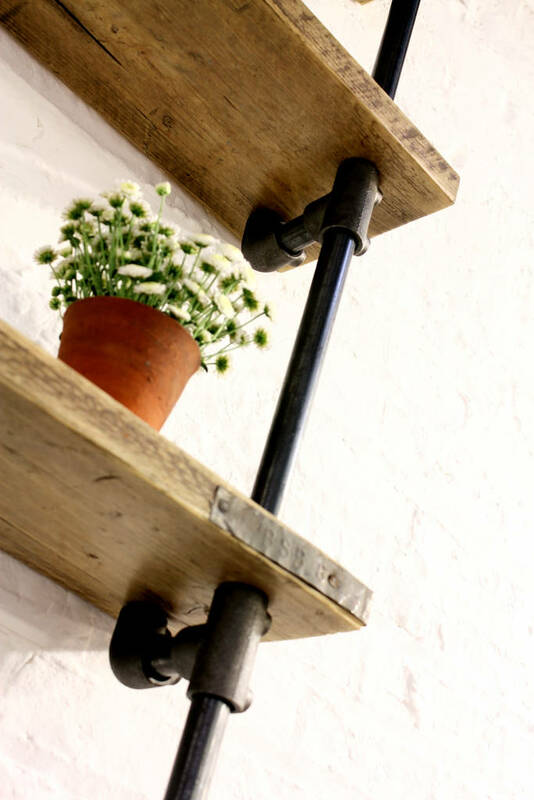 The shelves pictured here are 215mm deep x 980mm wide and 2462mm tall (and the pipe diameter is 27mm)... but the sky's the limit... Everything we do is made to order and because we design and make everything ourselves we can easily accommodate any design requirements you might have... just contact us for a chat... pretty much all of our listings are a result of other client's requests so prices are indicative of a bespoke product - the price won't dramatically increase because you want to add a few centimetres here or take a few centimetres away there - we're not importing and selling hundreds of products of a particular size... we make everything ourselves from raw materials in our workshop here in Manchester...... we just love what we do and love to provide a great bespoke service... why buy off the shelf when there's just no need to... we can create something totally unique for you ! 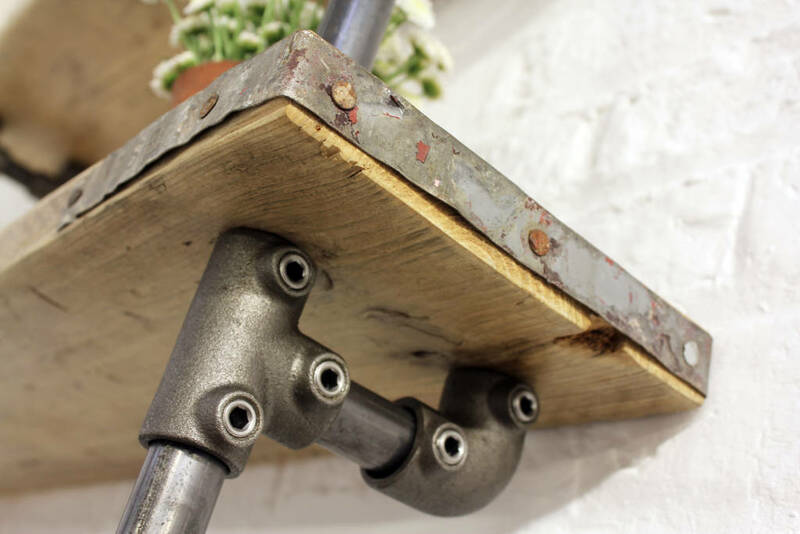 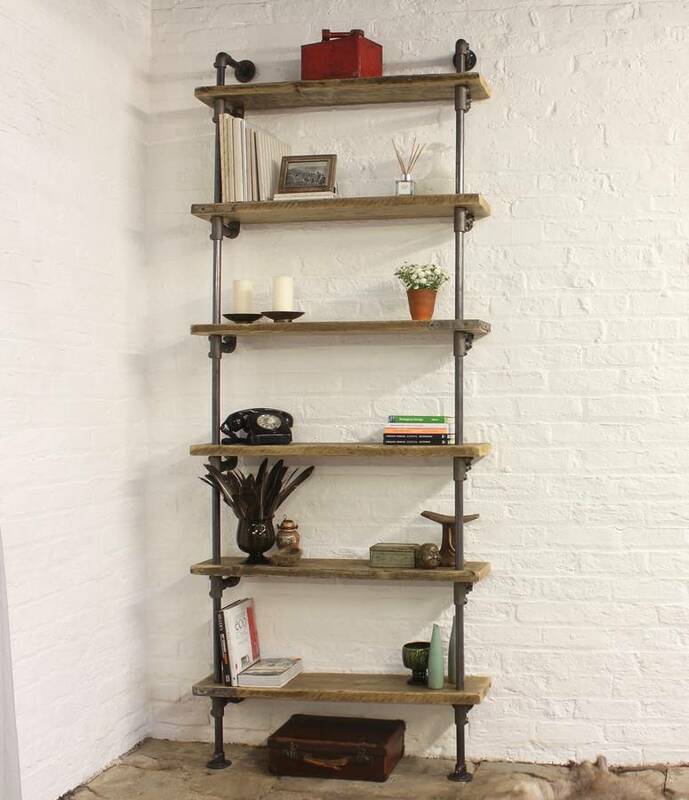 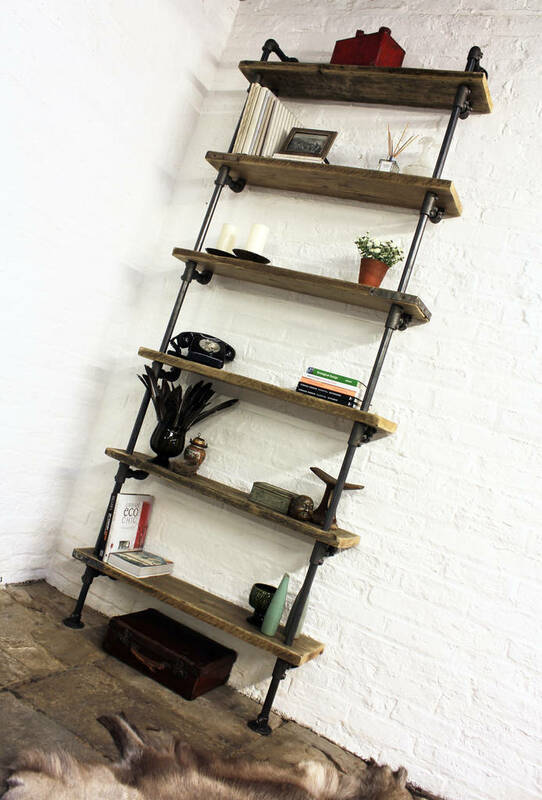 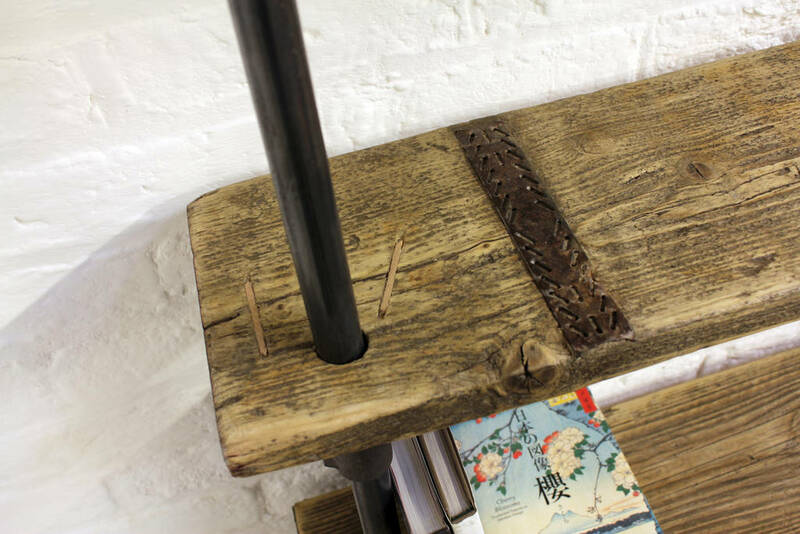 These shelves can be made with galvanised steel pipe and fittings and any diameter of pipe and any finish on the boards.... scaffolding boards could be substituted for reclaimed floor boards, chunky reclaimed timber of any type, toughened glass, sheet metal, wire grills, railway sleepers... whatever you would like... we can source anything and gladly will !The scaffolding boards pictured in this example were simply brushed down so they retained a gritty raw look and then varnished with two coats of diamond hard clear varnish, but anything you choose to use can be distressed or polished up to create any required finish. This product is dispatched to you by Urban Grain.